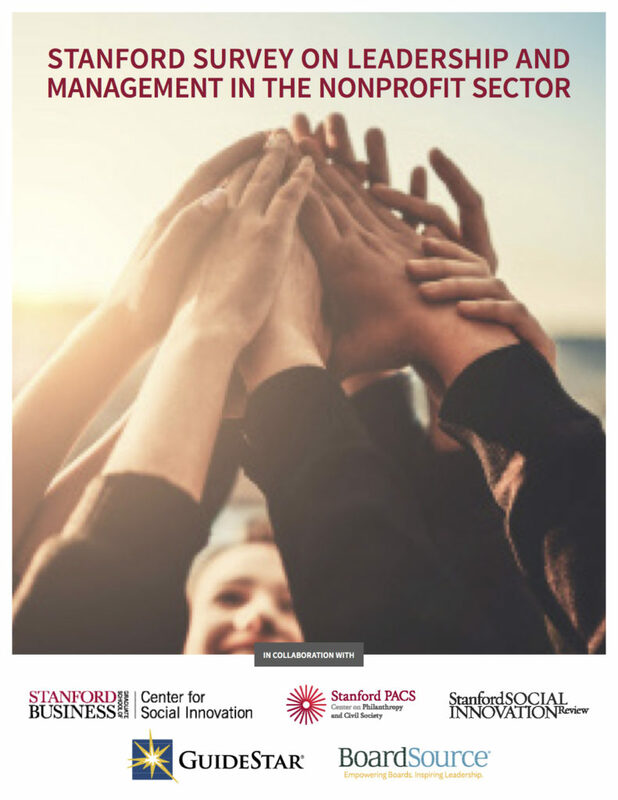 Based on a study of more than 3,000 stakeholders in the nonprofit sector, including executives, staff, board members, and donors, the Stanford Survey on Leadership and Management in the Nonprofit Sector was spearheaded by William F. Meehan III and Kim Starkey Jonker. The survey was conducted in collaboration with the Center for Social Innovation at Stanford Graduate School of Business, the Stanford Center on Philanthropy and Civil Society, Stanford Social Innovation Review, GuideStar, and BoardSource. 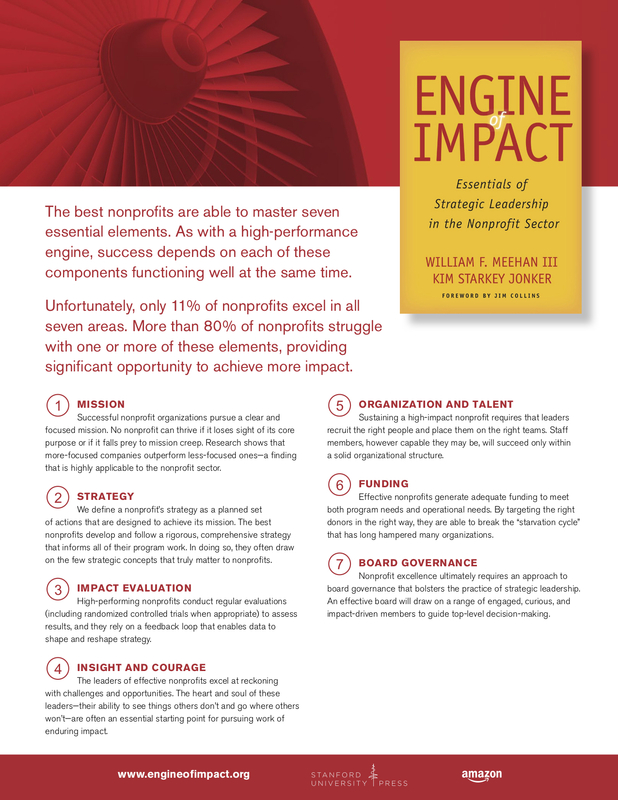 Register now to gain access to Engine of Impact resources. After you register your email address below, you will also receive updates on new content and additional resources that will help you and your organization achieve greater impact. We will not share your email address with any other party.